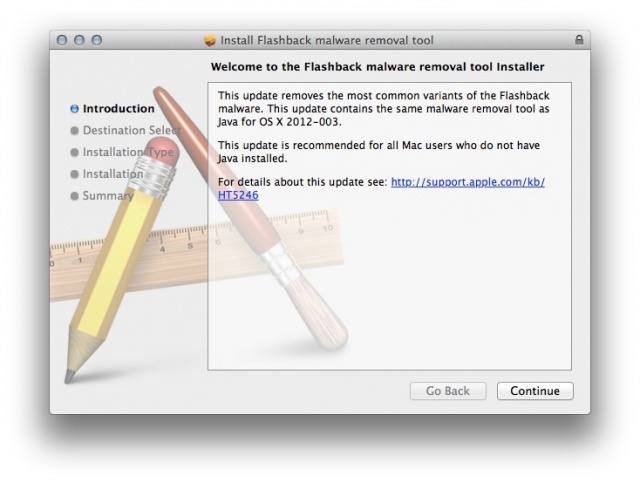 After almost 9 days, Apple has issued a patch for the Flashback Trojan via a Java update. 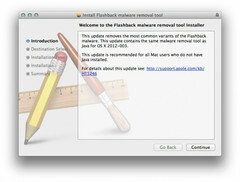 Finally, Apple released, this afternoon, an integrated tool which will remove the Flashback Trojan from the widely effected 600,000 Macs. The latest version of the Trojan was designed to steal user information estimated to be present in almost a million machines, as of last week. As expected, the tool was made available to the people as a part of a security update to Java. The Flashback Trojan is a form of Trojan which grabs the passwords and other information from users via their Web browser and other applications. Users often misunderstand it for a legitimate browser plug-in while visiting a malicious website. And taking advantage at this point, the software installs a code designed specifically to gather personal information and sent it back to the remote servers. With the most recently introduced version, the software can install itself even without user interaction. The patch issued for the Flashback Trojan by Apple removes the most common variants of the malware followed by the shutting down of automatic execution of Java applets on Web pages. Following the discovery by the Russian antivirus company- Dr. Web, Kaspersky and Symantec went on to verify the prevalence, knowing that the infections are on a decline. The recent figures show 270,000 machines to be still infected while others have dealt with the Trojan by going through the Java update.